Malcolm was Clerk of the House of Commons from 2006-2011. During his career in the House he served in all the offices of the Clerk’s Department, specialising in procedure and parliamentary privilege. He has advised many Commonwealth parliaments and LEGCO, Hong Kong where he was brought up. He edited the current, 24th edition of Erskine May. He is also an academic historian and author of a number of books and numerous essays and reviews. He has lectured and taught in various universities, most recently in Singapore on social and political philosophy. He was appointed KCB in 2011 and elected FSA in 2012. Nat co-founded The Constitution Society in 2009. He spent most of his career in finance and is Chairman of Scotgold Resources. He was Chief Executive of IG Group plc before retiring in 2006 and served as an independent director of the London Metal Exchange between 2008 and 2016. Nat holds an MA in Law from Cambridge University and an MSc in Anthropology from University College London. Andrew has written extensively on constitutional issues and worked in academic, political and public policy environments. 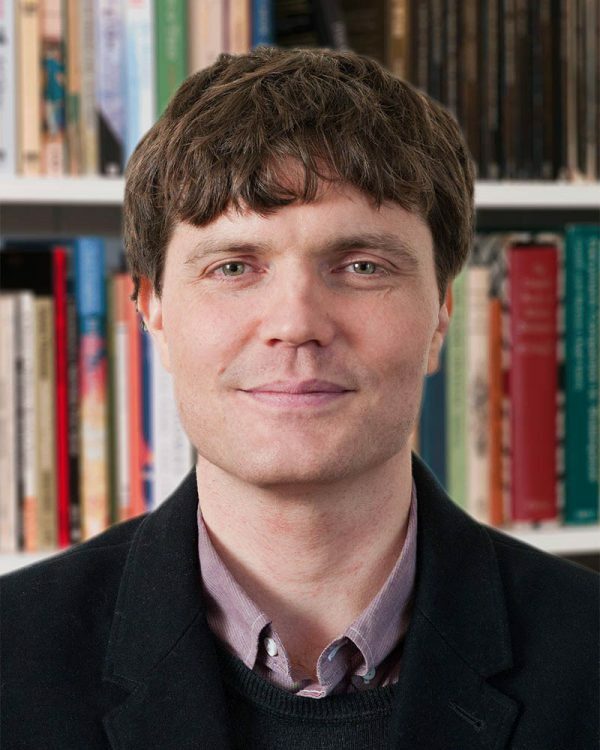 He is Director of History and Policy and Senior Lecturer in Politics and Contemporary History at King’s College London. He acts as senior adviser to The Constitution Society. Florence joined the Constitution Society in March 2018. She graduated from the University of Warwick with a BA in History and French in 2017 and then worked abroad for a women’s NGO. She is also currently studying for a Masters Degree in Human Rights Law at SOAS, University of London. David recently completed an MPhil in Political Thought and Intellectual History at the University of Cambridge. He also holds a BA in History and Politics from the University of Oxford, and joined the Constitution Society in October 2018. David Mundy is a partner in Bircham Dyson Bell, Solicitors and Parliamentary Agents. David specialises in public and administrative law with a particular interest in constitutional matters and the powers of public bodies. David is a BA from Bristol University and has a diploma in EU law. Lisa co-founded The Constitution Society in 2009. She qualified as a solicitor in both London and Hong Kong and worked for Herbert Smith and Clifford Chance before moving in-house with Citigroup and then Morgan Stanley. Lisa now works as a legal consultant. She has an LLB from Bristol University. Jo co-founded The Constitution Society in 2009. Her background is in corporate finance and commerce. She worked in the City and in Hong Kong, latterly as a partner of Richards Butler and a director of the Listing Division of the Hong Kong Stock Exchange. She has an MA in Law from Cambridge University and qualified as a solicitor in England and Wales and Hong Kong. Andrew worked for 39 years as a Clerk in the House of Commons, retiring in 2017 after five years as Clerk of Committees. He has written and lectured on parliamentary and constitutional issues throughout his career and is the editor (with Professor Robert Blackburn) of the second-heaviest book on Parliament – Parliament: Functions, Practice and Procedures (second edition of Griffith & Ryle, Thomson Sweet & Maxwell 2002). 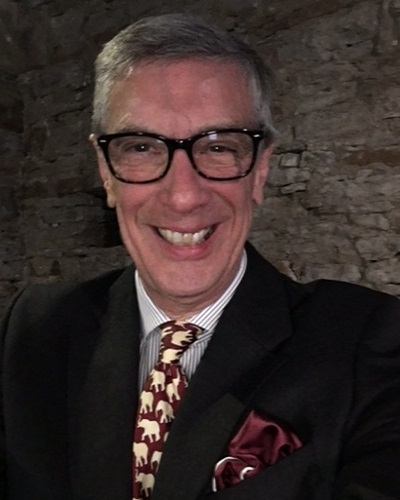 Sebastian is President of the United Kingdom Constitutional Law Association and a Senior Lecturer in Public Law at the Kent Law School and a Barrister of the Inner Temple. As well as publishing on the law relating to terrorism he is the editor (with Professor Maurice Sunkin) of The Nature of the Crown (Oxford University Press 1999). John is Downing Professor Emeritus of the Laws of England at the University of Cambridge. He is a leading authority on English legal history and the author of numerous publications in that field. John is a Fellow of the British Academy. Vernon is Research Professor at the Institute for Contemporary British History, King’s College London. He was formerly Professor of Government at Oxford University and Senior Tutor and Vice-Principle at Brasenose College, Oxford. He has written widely on government and politics. Vernon has been an adviser to government and parliamentary bodies. He is a fellow of the British Academy. Sionaidh holds the Anniversary Chair in Law and is co-director of the Centre for Law and Society in a Global Context at Queen Mary University of London. Prior to coming to Queen Mary she was for many years Professor of European and Human Rights law at the University of Oxford, and before that Professor of Law at King’s College London. Christopher was founding Chairman of the Better Government Initiative, which campaigns for more effective design and delivery of government policy in Britain. His career has spanned academia, business and the civil service. Christopher has held academic positions at Oxford, MIT and LSE where he served as Professor of Economics. He has advised governments on issues as diverse as rail privatization and the poll tax and is the author of numerous works on economic and public policy issues. George Foulkes is a Labour member of the House of Lords. He was a Member of the House of Commons from 1979 – 2005 and a Member of the Scottish Parliament from 2007 – 2011. From 1997 to 2001 George was Parliamentary Under-Secretary at the Department for International Development and from 2001 – 2002 he was Minister of State at the Scotland Office. Richard Gordon is a leading barrister in the fields of Public and Constitutional Law and Human Rights/Civil Liberties. He is a Visiting Professor at University College London and Honorary Professor at the University of Hong Kong. Richard has acted in many of the most important Constitutional and Human Rights cases in recent years and appears regularly before the UK appellate courts as well as before the European Court of Justice and European Court of Human Rights. 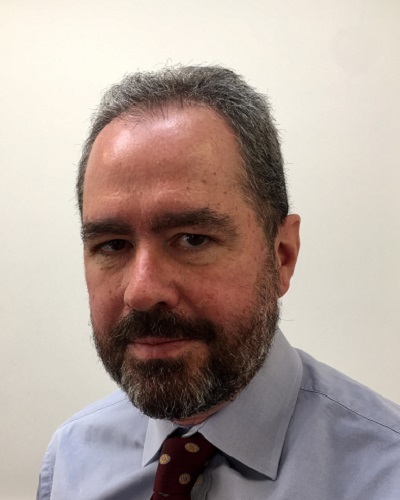 Dominic has been Conservative MP for Beaconsfield since 1997 after working as a barrister and serving in the Territorial Army and as a Hammersmith councillor. He first joined the front bench of the opposition in 1999 as a spokesperson on Constitutional Affairs. He was Attorney General from 2010 to 2014. Presently he is a member of the House of Commons Standards and Privileges Committee. Mark Harper has been Conservative MP for Forest and Dean since 2005. He was Immigration Minister and Minister for Disabled people during the Coalition government and then served as Government Chief Whip in the House of Commons from 2015 to 2016. Robert is Professor of Government and the Constitution at University College London. He founded the UCL Constitution Unit in 1995 and served for many years as its Director before retiring in 2015. He resigned from the Conservative Party and joined the Labour Party in 1995, serving subsequently as Employment Minister and Minister for Disabled People (1997-98) and Minister for the Arts (1998-2001). David was the leader of Cambridge City Council from 2000 to 2005 and Liberal Democrat Member of Parliament for Cambridge between 2005 and 2010. Since the 2010 election he has been a legal academic at the University of Cambridge. Eleanor has been Conservative Member of Parliament for Epping Forest since 1997. She served in a number of opposition posts, including Shadow Minister for Justice from 2007-2010. She was from 2010 – 2013 a member of the House of Commons Political and Constitutional Reform Committee, and during 2011-2012 was a member of the Joint Committee on the Draft House of Lords Reform Bill. Eleanor has been a Deputy Speaker of the House of Commons since 2013. Tom was Permanent Secretary of the Lord Chancellor’s Department and Clerk of the Crown in Chancery. Since retiring from the civil service he has chaired a number of government inquiries; he also sits on the board of the Better Government Initiative. Robert Maclennan is a Liberal Democrat member of the House of Lords. He was a Member of the House of Commons from 1966-2001. Robert was a Parliamentary Under-Secretary at the Department of Prices and Consumer Protection from 1974-1979. He was leader of the Social Democratic Party from 1987-1988 and joint leader of the Social and Liberal Democrats during 1988. He has served on numerous select committees in both Houses, and is presently a member of the House of Lords Select Committee on the Constitution. Rick is a Professor of Public Law at University College London, and Honorary Distinguished Professor at Cardiff University. Rick’s areas of expertise range across constitutional law, administrative law and EU law. They particularly include administrative procedure and administrative justice, judicial review, devolution and the UK territorial constitution, and EU administrative law. His many works include leading monographs and edited collections such as Law and Administration (1st edn 1984) (with Carol Harlow); Pressure through Law (1991) (with Carol Harlow); Law, Society and Economy (1997); Delineating Wales: (2003); The Regulatory State: Constitutional Implications (2010); Sovereignty and the Law (2013); and Process and Procedure in EU Administration (2014) (with Carol Harlow). Paul Tyler is a Liberal Democrat member of the House of Lords. He was a Member of Parliament (MP) from February to October 1974 and from 1992 to 2005, and now sits in the House of Lords as a life peer. He is currently co-chair of the Liberal Democrat Parliamentary Party Committee on Constitutional and Political Reform.